For today's Autism Awareness Month post, I am reviewing and hosting a giveaway for Primary Angels. 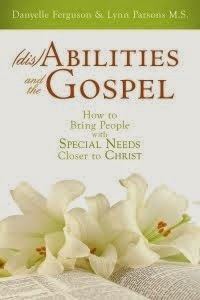 This excellent DVD gives step by step instructions and visual examples of how to teach a child with special needs at church. The creator of this DVD is Annie Campbell. I've known Annie for about five years. I had the priviledge of working with her on the Friends of GIANT Steps board. Annie served as president of the board for many years. She's an active member of her local disability community and has been an advocate for parents as they navigate parenthood and special needs. In Primary Angels, Annie takes a you through a five step plan. These steps include introducing yourself to the child with special needs and his parents, how learn about the child's needs, setting realistic goals, putting your plan into action, and following through with your goals. The DVD goes back and forth between an interview with Annie as she describes each step, then switches to a classroom type setting with a variety of children where she shows a real-life example of how to implement each step. I absolutely love Annie's demonstrations on getting down to the same level as the children, using positive statements, and following up with appropriate reinforcements. 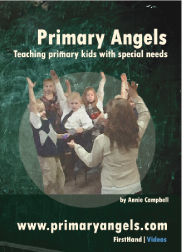 Primary Angels is an excellent resource for parents, church leaders, and church teachers. I love that it's visual and shows such great concrete examples! I also like that Annie has links to the reinforcers and classroom helps she uses on her website. I really like her idea for the Primary Check Box program. This is something all the kids in my Primary class can use as they pay attention to what they are learning in Sharing Time. You can find the game here. 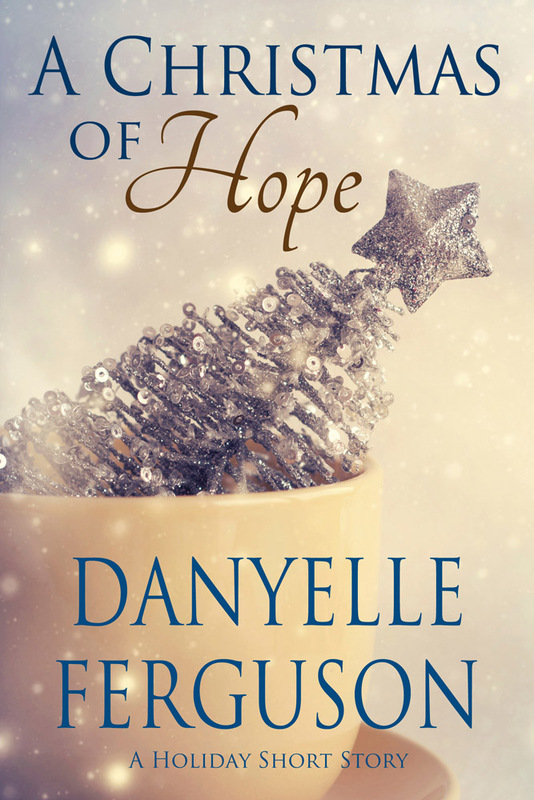 Primary Angels is available for purchase on their website or through Deseret Book Stores. As part of Autism Awareness Month, they are offering two finger flashlights with each order placed through their website in April. Leave a comment telling me if this would be for you or a friend, as well as what you hope to learn from the DVD. Follow Annie's Primary and Autism blog. *Be sure to leave a comment for entry options #2 & 3! This would be for me. Well, it would be for the whole Primary, since I'm the president. AFAIK, we only have one child on the spectrum (not sure if he's diagnosed) in our Primary, but we have a number of children with special needs of all kinds. I hope to learn how best to help our teachers address the children's needs. But that's kind of a duh. How about a way to help the teachers (and us in sharing time!) keep the kids both involved and reverent.